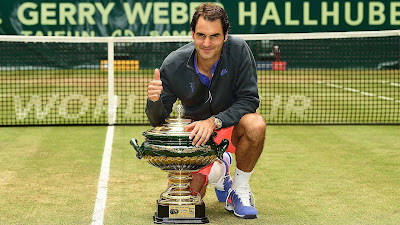 Roger Federer further cemented himself as the king of grass on Sunday at the Gerry Weber Open, capturing an unprecedented eighth Halle title and 15th overall crown on the surface. The World No. 2 overcame a strong test from Andreas Seppi to prevail 7-6(1), 6-4, claiming their third ATP Head to Head meeting of the year. Federer improved to 12-1 against the Italian, firing 14 aces and 36 winners, while staving off all four break points faced. "It is a special moment for me, to win here for the eighth time. 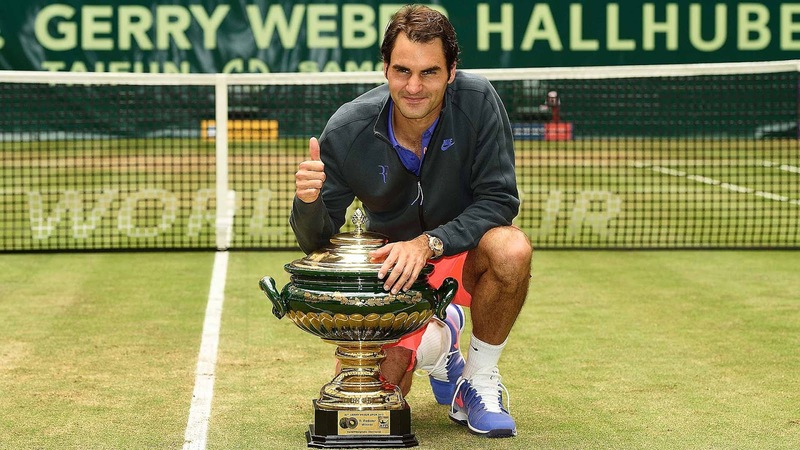 I hope this is a good omen for Wimbledon," the 17-times grand slam winner said. "I have always enjoyed amazing support here all these year. I always enjoy it here and it is one of my favourite events. "2013 was difficult, 2014 was better and now 2015 after this week is even better and I hope I can keep it up," he said with Wimbledon starting on June 29. "I think that I did very well here in the tie-breaks," said Federer. "I served well which you have to on the grass. I was able to mix it up, so I created a good pattern going into the tie-break. My opponent wouldn’t quite know where it’s going to go and if he knew where it was going to go it was going to be tough for him to defend. I think I did a really nice job this week on these situations. "I think one big secret on grass is when to hit which shot and playing the score the right way. You might be playing perfect but then in one moment you take a bad decision and grass makes you pay for it all. So, this week has been great if I look at the whole thing. I don’t think I got broken anymore the last four matches I played. The first match was extremely close but I won all the tie-breaks this week, which gives obviously big confidence knowing that in the crucial moments my game was right there." One of 13 titlists aged 30 and over in 2015, Federer brings home €381,760 and 500 ATP Ranking points. He improved to 86-44 in tour-level finals and is now eight titles behind Ivan Lendl for second on the Open Era list. Seppi, meanwhile, was bidding to notch his fourth ATP World Tour title and first since hoisting the trophy in Moscow 2012. The 31-year-old Italian drops to 1-2 in grass-court finals, having previously split consecutive title matches on the lawns of Eastbourne in 2011 (d. Tipsarevic) and '12 (l. to Roddick). 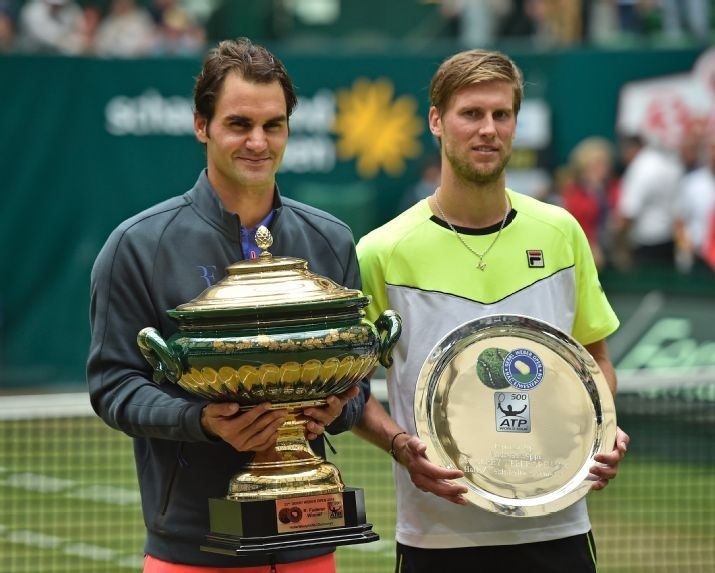 "It was a fantastic week for me," said Seppi. "A first final in a 500 tournament. I had some chances in the first set with two set points but I can be happy with the level I played and congrats to Roger for winning another title here in Halle. In the important moments he stepped up his serve, played better at the decisive moments and deserved to win in the end."